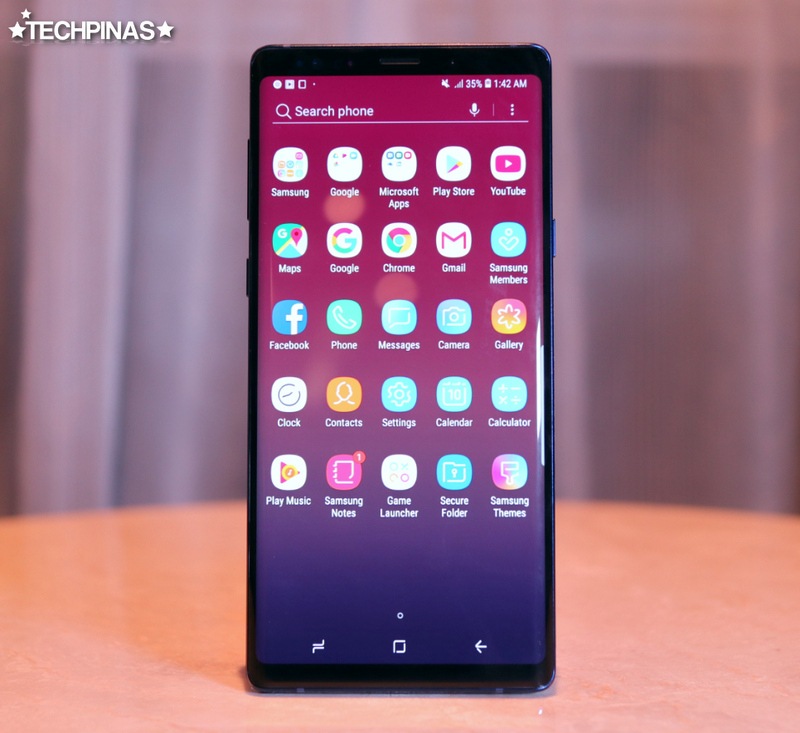 The 2018 iteration to Samsung's popular Galaxy Note flagship phablet series has just been officially introduced here in the Philippines via an exclusive Unpacked media event held at Manila Marriott Hotel located in Pasay City. 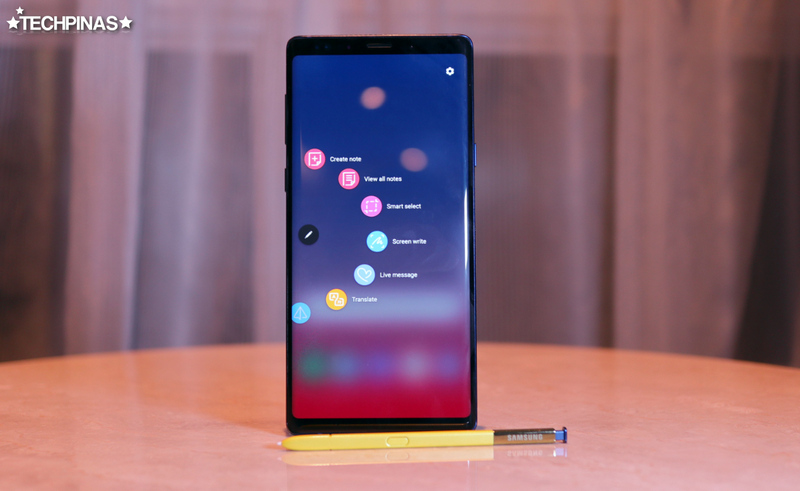 Although it looks a lot like its predecessor from 2017, the all-new Samsung Galaxy Note9 comes with a handful of interesting enhancements and fresh features that will prove useful to consumers who use their smartphones to celebrate their passions and to get things done. 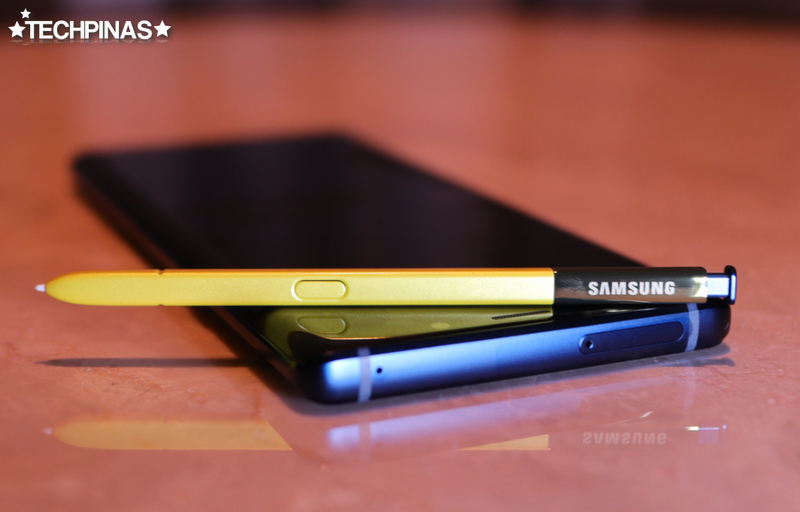 The most notable enhancement comes in the form of the re-imagined S-Pen, which now has different albeit complementary color to the unit itself and can now work as a remote clicker for taking photos and browsing through presentation slides via Bluetooth connection. 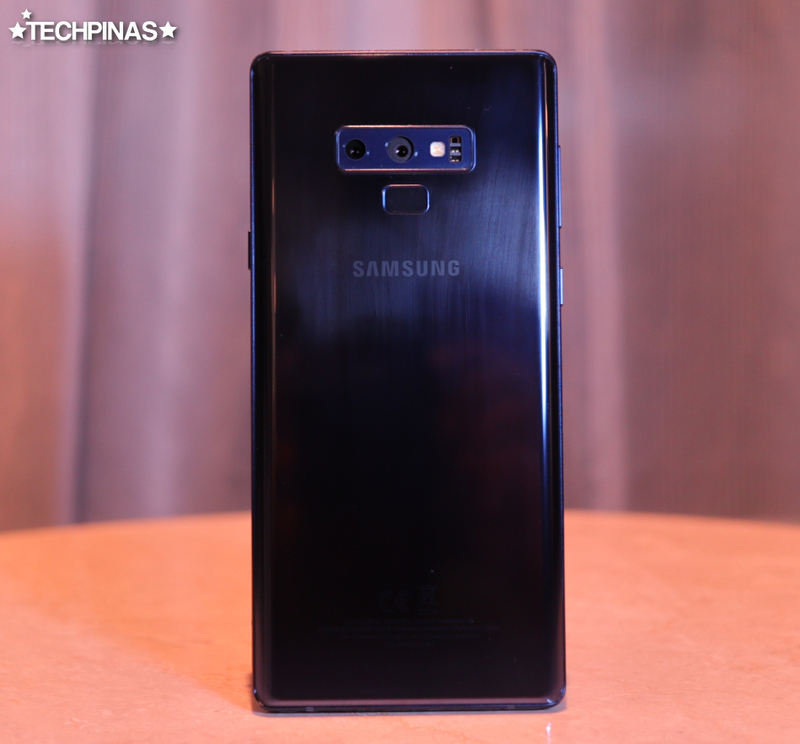 Avid mobile photographers will surely appreciate the fact that the Note9 features largely the same Dual Rear Camera module with variable aperture as what's on the Samsung Galaxy S9+, which is still one of the best cameraphones out in the market. Contrary to earlier predictions, though, this set-up doesn't have the new Samsung-Fujifilm ISOCELL Plus sensor that would have greatly boosted its low light performance. But what's good is that these cameras benefit from the company's own version of artificial imaging intelligence that instantly recognizes the subject in front of the lens and adjusts settings accordingly to deliver the best possible image. Like previous Note models, this release delivers top-notch viewing experience anytime, anywhere -- thanks to its 6.4-inch QuadHD+ Infinity SuperAMOLED Display that looks downright stunning regardless of the viewing angle and even under direct sunlight. 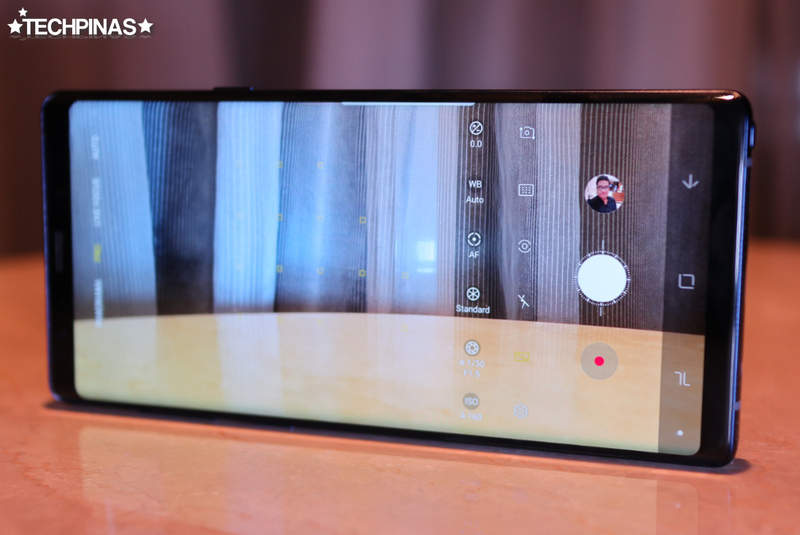 Above the screen, Note9 sports an 8 MegaPixel f/1.7 front-facing shooter that features Samsung's own beautification software and lets you add cute and fun AR Stickers to your selfies. This front cam also records 1440p 30fps videos, which - along with the 4K 30fps and 1080p 240fps clips recorded using the primary rear cam - makes this model a great device for vlogging. Dust and Water Resistant, which means that it is protected against water-ingress even when submerged in a meter of liquid for up to 30 minutes. 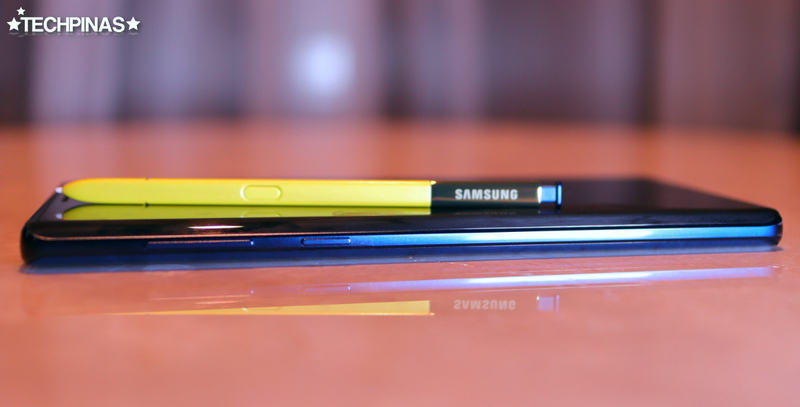 At first glance, Note9 can appear almost identical to the Note8 -- but there are actually subtle differences. First, this model has a slightly larger footprint. Second, its aluminum mid-frame has diamond-cut chamfered lines. And third, its Fingerprint Scanner at the back has been repositioned below the Dual Rear Camera module for easier access using the pointer finger. 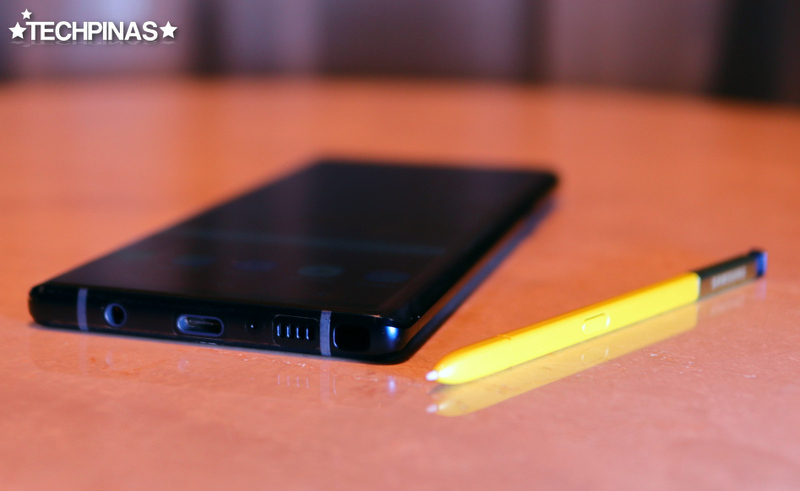 Great for power users, heavy mobile gamers, and prolific content creators, Samsung Galaxy Note9 delivers industry-leading mobile experience across the board with its 10nm Exynos 9810 Octa Processor, Mali-G72 MP18 GPU, Water Carbon Cooling System to prevent overheating when running resource intensive games and apps, plus 6GB and 8GB RAM options complemented by up to a whopping 512GB of internal storage that you can expand further using the secondary hybrid nanoSIM slot that can also take in a 512GB microSD card! For audiophiles, the Note9 comes with an AKG loud speaker, which is easily the loudest and clearest speaker that's ever been put in a Galaxy smartphone. Play your favorite music tracks out loud and share the enjoyable audio experience with your friends. 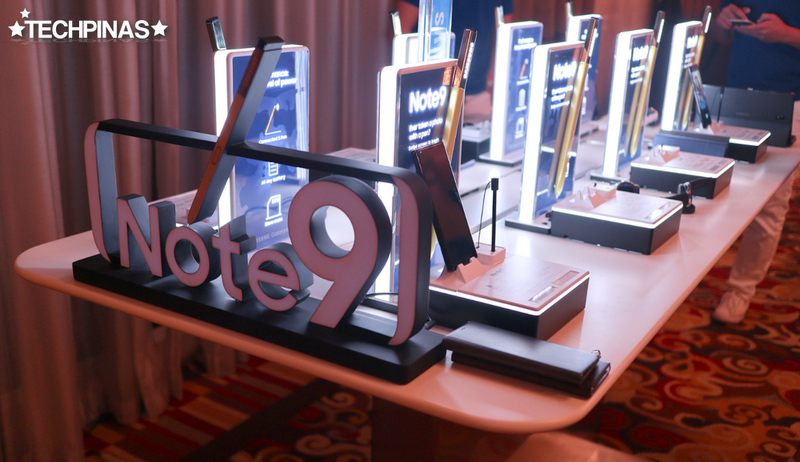 Did you know that you can pair the Galaxy Note9 with any LED monitor to create a desktop computer system? Yes, this feature is called Samsung DEX. Simply link the phablet to a screen using HDMI cable and if you can want, you can even connect a keyboard via Bluetooth if you need to process documents and be more productive. 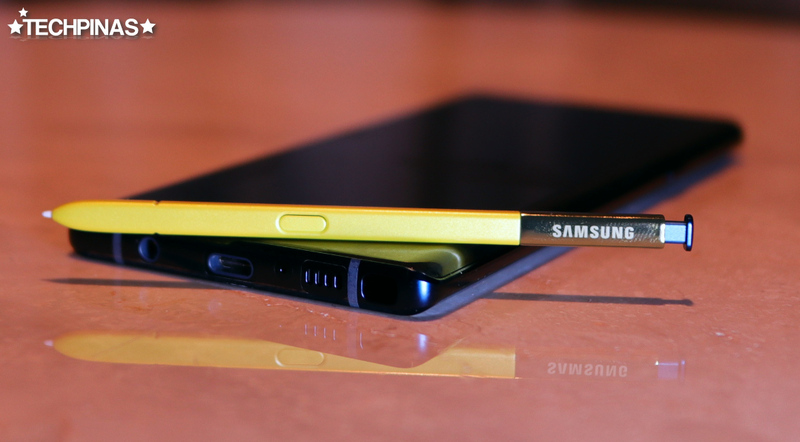 Samsung Galaxy Note9 will be released globally on August 24, 2018. This beastly device will be out in four attractive colors, namely, Ocean Blue, Metallic Copper, Midnight Black, and Lavender Purple. 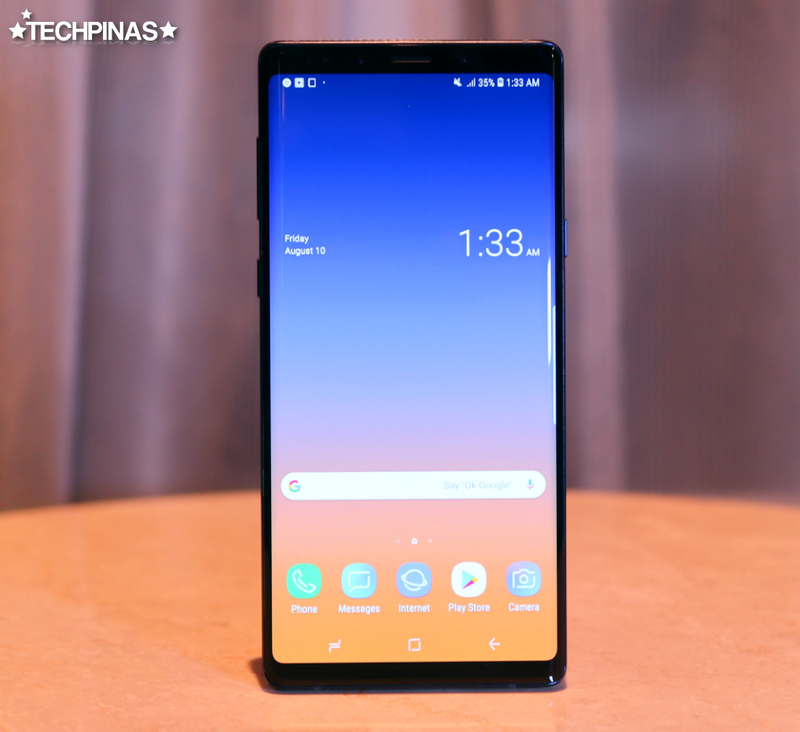 Here in the Philippines, the 6GB + 128GB variant will don an official suggested retail price of PHP 55,990 while the 8GB + 512GB version will go for PHP 75,990, making it the most expensive non-Limited-Edition Galaxy smartphone to ever be released in our country.